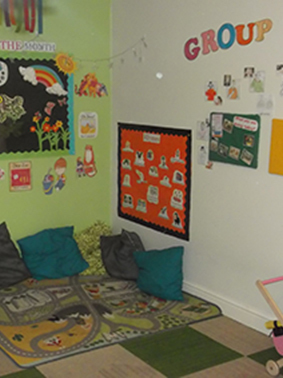 We have four rooms each dedicated to a specific age range; within each room are two members of staff. 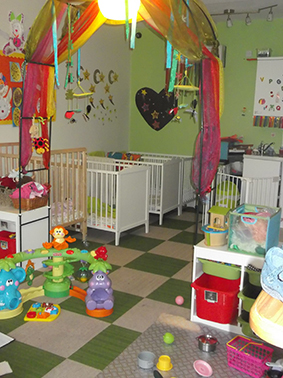 The rooms have been specifically designed around the child's developmental needs. All rooms are equipped with the latest age specific equipment that allows your child to learn as they play. 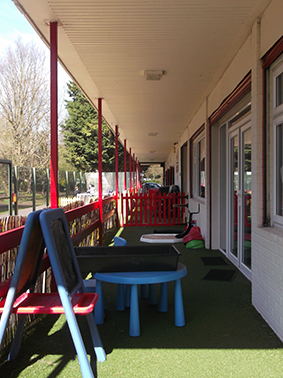 The rooms are bright and airy with dedicated covered outdoor play areas. This room accommodates the ages 3months to 1 ½ years. The ratio in moon room is one practitioner per three babies. This room accommodates the ages 1 to 2 ½ years. The ratio in star room is one practitioner per four toddlers. This room accommodates the ages 2 ½ to 3½ years. 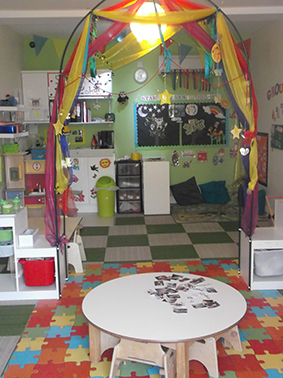 The ratio in star room is one practitioner per six children. This room accommodates the ages 3 ½ to 5 years. The ratio in the galaxy room is one practitioner per eight children.